If you had any idea who the hell Johnson Bademosi was before the season, pat yourself on the back because he was far out of the minds of most Patriots fans. Contributions come from the most unlikely places in Patriot Nation and the latest guy has two last names and was destined for exclusive special teams play. He then proceeded to play awesome coverage on Julio Jones in last Sunday's game against the Atlanta Falcons, with fellow corners Stephon Gilmore and Eric Rowe sidelined with injuries. This unlikely resurgence in the secondary, led by Bademosi must continue with the news that Dont'a Hightower is out for the season. Bill Belichick has football down to such an exact science that every year a random undrafted player from some random school in Alabama contributes or late additions in training camp or the trade deadline flourish. Guys like Akeem Ayers, Malcolm Butler, Wes Welker and now Bademosi were all acquired by Belichick because they had specific skills that he could utilize in his complex system. Bademosi's stellar play last Sunday was a huge reason that unit put together their best performance of the season. Every player had their communication sharpened up and knew exactly how they were going to slow down the lethal Atlanta weapons. 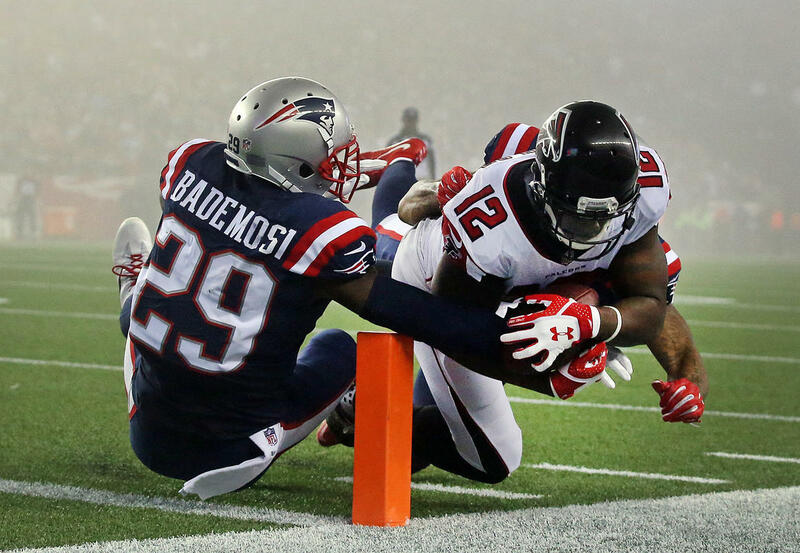 Bademosi didn't exceed what Belichick asked him to do and thats really all it takes. With Hightower missing the rest of the season now, it will be up to the secondary to keep up their sharp play to assist a depleted linebacker unit. Gilmore is going to need to get with the program and be a team player like Butler and Bademosi have been. Those three can be an effective pair with more practice reps and Pats fans should be excited to see the secondary develop with their new guy Bademosi. These zero to hero stories of the New England Patriots never get old. Bademosi had an unbelievable game against one of the games best weapons and has pushed this defense to another level. Bademosi has the opportunity to be the third corner on this team as Rowe may miss much more time and can use his energy to keep the defense firing on all cylinders. No Hightower, no Rowe, no problem for Johnson Bademosi. Just as we all expected. Bill you never cease to amaze us mere mortals. Check out my website at jakescearbo.com to see more pieces by me!